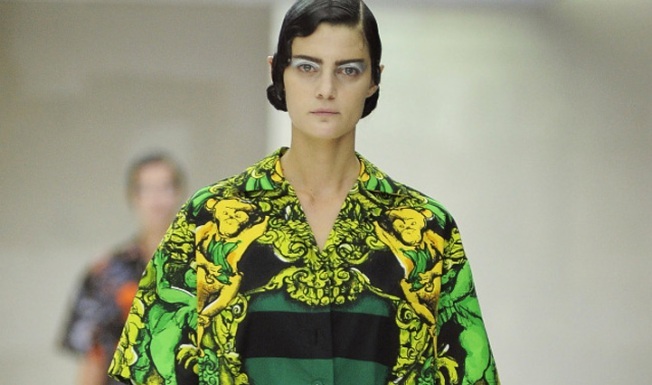 Prada is on track to go public June 23 or 24, with one of its leading banks placing the initial public offering around $15 billion, WWD reports. The company enjoyed record-breaking sales in 2010, with net profit soaring more than 150 percent from the previous year. The numbers are a strong reflection of Miuccia Prada's excellent collections, of course: Spring 2010, in particular, was the ultimate combination of a big editorial success -- the banana prints and eye-catching stripes were featured in nearly every spring fashion glossy -- coupled with a strong commercial success. That said, the banks expect profits to continue on an upward climb following the long-awaited IPO, so if you're in the stock market game, perhaps you should consider buying yourself some Prada.